This former freight depot at Golden Belt (a complex of art galleries, studios, offices, and lofts) is now an event venue. 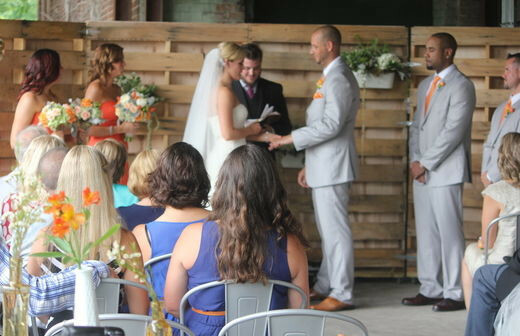 Featuring a restored train landing and over 100 years of history, Belt Line Station includes over 4,000 square feet of space for weddings, ceremonies, live music, and other events. 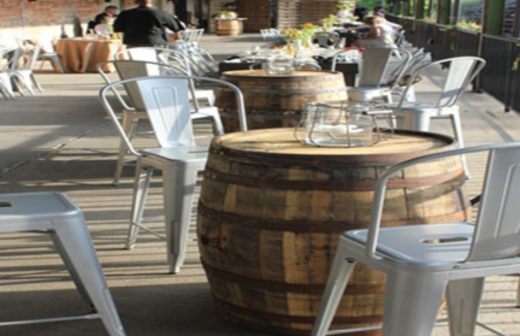 It can host up to 250 people for a seated event. Description: Belt Line Station is a new NC venue for sensational events! 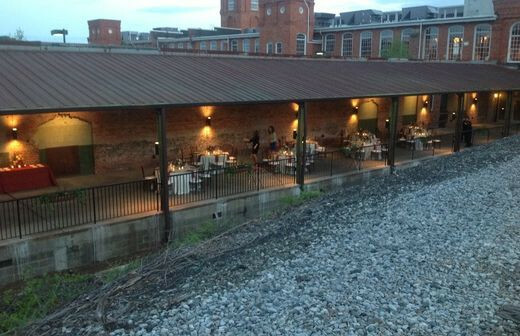 Housed in the former freight depot at Golden Belt, and just steps away from The Cotton Room, the restored train landing provides a unique and vintage all-inclusive venue for your next event. 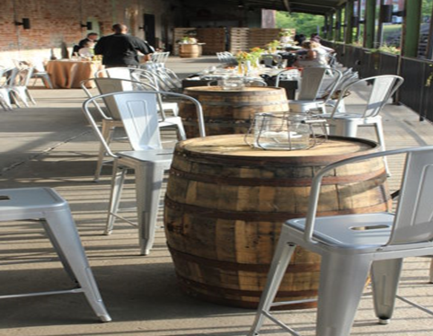 Belt Line Station combines history & style with over 4,000 square feet of functional and flexible event space, and is the perfect backdrop for wedding receptions, ceremonies, live music and corporate events alike. 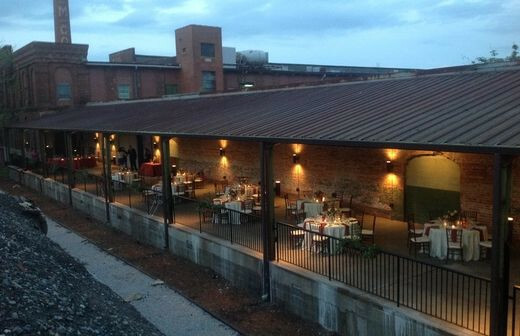 Now designed to accommodate up to 250 people for a seated event, the depot has a history going back more than 100 years in Durham. The tracks that run alongside the depot were first used by the Lynchburg & Durham Railroad Company, which was formed in 1887. Three years later, the tracks from Lynchburg to Durham were completed and spanned nearly 42 miles in North Carolina.